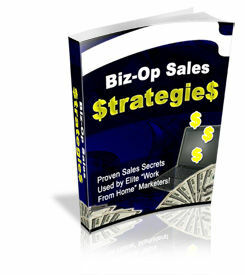 TripleClicks.com: The Biz-Op Sales Strategies! 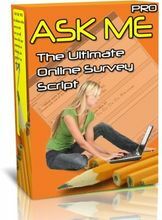 "At Lastâ€¦ Proven Sales Secrets Used By Elite Work-At-Home Business Marketers That Commands Your Leads To Say "Yes" Every Single Timeâ€¦ Even When They Just Lost Their Jobs!" The reason you're reading this letter right now is because you want to make healthy profits, by helping people just like you own businesses. This is how I can help you. If you have been selling work-at-home opportunities for some time now, you'll realize recently it has become much harder to get people to believe, let alone invest, in your business opportunity. You probably know by now that new business opportunities are mushrooming on the internet almost every single day. Just search the keywords "work at home" at Google and you'll find 22,200,000 pages and 12,353 sponsored links competing for your customer's attentionâ€¦ and by the time you finish reading this, the new players are adding to that list. 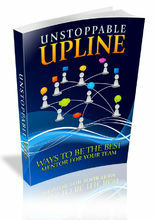 "The Business Opportunity Market Has Become Skeptical, Crowded, And More Competitive!" Let's fact itâ€¦ the overwhelming competition alone is enough to make life hard for small business entrepreneurs like us. After all, if everyone else is selling the same thing you are, and that list grows longer and longer every day, what are the odds that you can make money with a skinny budget, limited time, and no employees? Less than one-tenth of a percent. 5 years ago, before a flurry of competitors came online, there was ample opportunities for you to make a killing when you are one of the only few selling business opportunities to stay-at-home moms, retired senior folks, and other people looking for a secondary income. 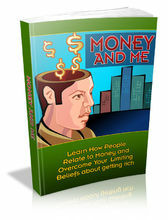 After a series of significant economic events, more people are searching for ways to make money. With this influx of people entering, the market grew significantly. Now there are more people showing up for sales meetings, spreading flyers, pasting ads on walls and preaching the next big business opportunity to every person with a JOB. Andâ€¦ they are learning to add the internet to arsenal of marketing weapons. 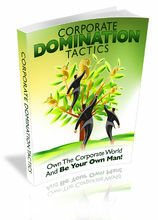 Your competitors are using the newest cutting edge marketing techniques, PPC, SEO and even Social Media to syndicate their sales messages all over the world, selling everything from transcription opportunities, network marketing companies, stock trading courses and franchises to make a quick buck. With so many get-rich-quick offers, scams, snake-oil schemes and illegal money making opportunities peddled by downright dirty, unethical, and unscrupulous capitalists, your customers have their BS radar ringing like a siren. This means, your average prospect is not only confused and overloaded with choices, but also highly skeptical (even cynical) about your business opportunities. They firmly believe that everyone is out to steal their wallets/retirement funds/credit cards, and nothing you do or say can convince them otherwise. Not even if you're legit! 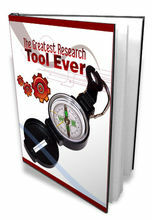 "A Proven Method For Creating Conviction And Trust In Just A Few Seconds!" If someone found a method of selling business opportunities that worked, and is willing to share it with you, how much is that worth? For this to happen, one would have to conduct weeks of research, then test the methods by trial and error, get rejected a lot, and finally refine the techniques and keep doing so until a winning strategy that works is engineered. Not to mention the amount of money, time, and heart-ache that person has to go through to experiment new approaches and perfect the selling strategy. The good news is, someone has already done all of that for you. And yes, a proven method has been developed to perfection. By handing you these secrets on a silver platter, you can shortcut your success and get an unfair advantage when promoting business opportunities because very few people are doing it successfully. Wouldn't that be something that can help turn the tide to your favor? And what if that person didn't stop there, but went on further to provide you with ready to-deploy techniques which you can immediately apply to progress your business, while others still struggle to find their way through. And the best part is, you can get these insider's information in the next half hour and use them to profit straight away. "Announcing The Biz-Op Sales Strategies!" 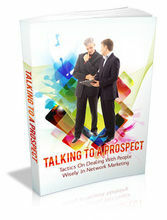 This ebook contains all the tested words, phrases and sentences to sell business opportunities successfully to customers, even jaded ones. Whether you're advertising in ENTREPRENEUR magazine, CraigList, or other advertising media, use these words to skyrocket your response and watch sales being made within minutes. Just copy and paste these proven, time-tested words into your ad, your sales letter or your pitch and you can get higher enrollment, recruit people easily and be amazed as they buy more of your products by the truckloads. 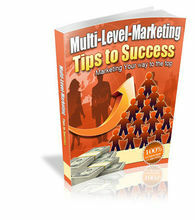 This compact guide is a carefully constructed list of magic words used in selling business opportunities successfully.